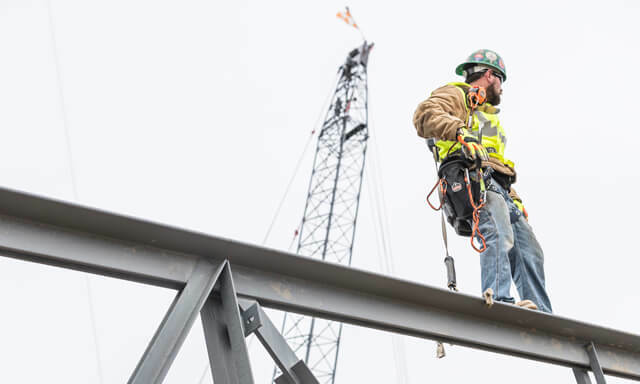 The American National Standards Institute’s Dropped Objects Standard (ANSI 121) was approved in early July, following an initiative between Ergodyne, Border States and other industry experts to promote the need for dropped object prevention and tool tethering. According to the Bureau of Labor Statistics, there are more than 52,000 annual Occupational Safety and Health Administration (OSHA)-recordable incidents of a person being stuck by a falling object, with 5 percent of all workplace fatalities in 2015 being due to strikes by a falling object. For decades companies and regulators alike have operated as if the only line of defense against falling objects was to cover people below with hard hats or canopies – or install expensive, time-consuming systems like netting, barricades or toe-boards. A hard hat can minimize the damage that occurs if an object falls and hits you on the head, but what if you’re bent over and it hits you on the back? Cue ANSI 121. What does the new dropped objects standard (ANSI 121) address? Here are the five most important things you need to know about ANSI/ISEA 121-2018. 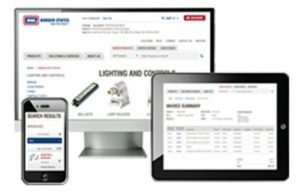 DOWNLOADS: Visit Ergodyne’s Dropped Objects Hazard Page to access video tutorials and a resource library. What’s the difference between ANSI, ISEA and OSHA? Standard 121 is a voluntary standard, not a regulation directly enforced by OSHA. ISEA (International Safety Equipment Association) is a professional association for personal protective equipment and technologies that has served as the trade association of safety manufacturers for more than 75 years. Its members sponsor and draft standards that can then be adopted by organizations like ANSI. ANSI is a nearly century-old, private, not-for-proﬁt organization that promotes “voluntary consensus standards.” The purpose of ANSI is to set a level of quality and safety best practices across an entire industry. OSHA is a regulatory government body that sets and enforces standards for safe working conditions. The release of Standard 121 will provide employers with guidance on how to reduce dropped objects risk, but will not legally require them to implement the equipment discussed in the standard. To learn more about dropped objects protection or ANSI 121, contact Kyle Schmidt, Border States Safety Market Specialist, at (701) 476-3157 or kschmidt@borderstates.com.